Activity in India’s dominant service sector contracted at the sharpest rate in nearly four years in July after a new tax policy sowed confusion and sent new orders into free fall, a survey showed on Thursday. Initial confusion on the national goods and services tax (GST) led July’s Nikkei/IHS Markit composite Purchasing Managers’ Index, which measures both manufacturing and services activity, to sink to 46.0 – its lowest reading since March 2009 – from June’s eight-month high of 52.7. The PMI for India’s dominant service industry dropped to a near four-year low of 45.9 in July from 53.1. June’s reading had been the highest since Prime Minister Narendra Modi banned high-value currency notes in November. The latest survey is the first time in six months where the services reading was below the 50 mark that separates growth from contraction. “PMI data for July highlight a reversal in fortunes across India, with the economy going into reverse mode after seeing a pick-up in growth momentum during June,” said Pollyanna de Lima, principal economist at IHS Markit. 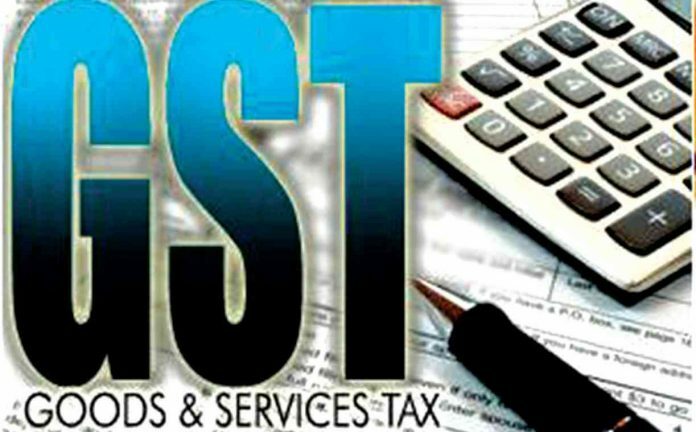 “Most of the contraction was attributed to the implementation of the goods and services tax (GST) and the confusion it caused. Surging prices caused by the tax, implemented on July 1, dented demand for services and pushed the sub-index on new business to 45.2 in July, its lowest in nearly four years, from 53.3 in June. Similarly, confusion among manufacturers over the pricing of their products after the GST was implemented dragged factory activity to its lowest level in more than nine years in July, a sister survey showed on Tuesday. Despite initial GST disruptions, participants in the survey remained optimistic about growth in services activity over the coming year, which boosted the business expectation sub-index to an 11-month high. “Many will question how deep an impact the GST will have on the economy in the near- and long-term, firms seem convinced that prospects will brighten as the new tax regime becomes clearer,” said de Lima. The GST aims to replace multiple cascading taxes. The change should help India reclaim its position as the fastest growing major economy this year, economists polled by Reuters last month said. On Wednesday, the Reserve Bank of India cut its policy rateby 25 basis points to 6.0 percent, which should aid growth.